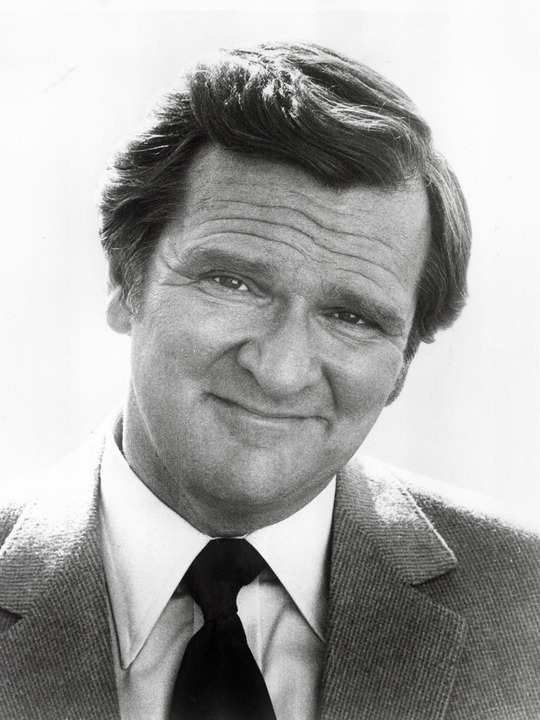 Kenneth Mars (April 4, 1935 – February 12, 2011) was an American television, movie, and voice actor. He may be best-remembered for his roles in several Mel Brooks films: the insane Nazi playwright Franz Liebkind in 1968's The Producers, and the relentless Police Inspector Hans Wilhelm Fredrich Kemp in 1974's Young Frankenstein. He also appeared in several seasons of Malcolm in the Middle as Otto, Francis' well-meaning but dim-witted boss. He's also well known as the voice of King Triton in The Little Mermaid and ensuing media. Born in Chicago, Illinois, Kenneth Mars went to school, then went to study acting at Northwest University. He graduated and then did small roles in theater followed by TV and film. Mars made his acting debut in 1962 as a book publisher on the comedy series Car 54, Where Are You?. Afterwards, he appeared on such television series as Gunsmoke, Get Smart, McMillan & Wife, and The Bob Crane Show. Mars played Harry Zarakartos on the sitcom He & She. Mars was featured in a number of small roles in programs such as the Misfits of Science pilot episode and the Star Trek: Deep Space Nine episode "Shadowplay". He was cast opposite Bette Davis in Hello Mother, Goodbye!, a 1973 television pilot that was aired by NBC but never added to its schedule. From 1970 until 1974 he guest starred in five episodes of Love, American Style, playing random characters. In 1977, he became a series regular on both the Sha Na Na variety series and on Fernwood 2-Night, where he played "Bud Prize" on the fictional comedy talk show, later appearing on America 2-Night in the same role. His last television gigs were that of Otto, the German dude ranch owner on Fox's Malcolm in the Middle, an appearance on Disney Channel's Hannah Montana, and a reprisal of his role as Grandpa Longneck in The Land Before Time television series. Mars often played characters with exaggerated accents. He was German in The Producers and Young Frankenstein, and was the Croatian musicologist Hugh Simon in What's Up, Doc?. His first broadly accented character was that of Sir Evelyn Oakleigh in the 1962 Off-Broadway revival of the Cole Porter musical, Anything Goes. He was also in the 1962 Broadway play The Affair. In 1975, ABC/Dunhill released a comedy LP produced by Earl Doud titled Henry the First featuring Mars in a number of comedy bits as Henry Kissinger, including a cover version of the Bachman–Turner Overdrive song, "Takin' Care of Business". Mars cultivated a lengthy voice acting career, launching it by voicing several characters on Uncle Croc's Block. He voiced the roles of Ariel's father King Triton in The Little Mermaid and the villainous Professor Screweyes in We're Back! A Dinosaur's Story, as well as voicing Triton in Kingdom Hearts & Kingdom Hearts 2. He also voiced Littlefoot's Grandpa Longneck in The Land Before Time movie series and the spin-off television series. He played some minor roles on the popular radio show, Adventures in Odyssey. He played Sweet Williams in Fievel's American Tails, which took place after An American Tail: Fievel Goes West. He voiced characters on many animated television series, such as The Smurfs, A Pup Named Scooby-Doo, Tale Spin, and Animaniacs, as well as video games, such as Fallout and Kingdom Hearts. Mars died at aged 75 from pancreatic cancer in Granada Hills, Los Angeles, California on February 12, 2011. He was survived by his wife of nearly 34 years Barbara Newborn, his two daughters Susannah Mars-Johnson and Rebecca Mars-Tipton and his 6 grandchildren. Whole or part of the information contained in this card come from the Wikipedia article "Kenneth Mars", licensed under CC-BY-SA full list of contributors here.